The International Institute of Tropical Agriculture (IITA) is a not-for-profit institution that generates agricultural innovations to meet Africa's most pressing challenges of hunger, malnutrition, poverty, and natural resource degradation. 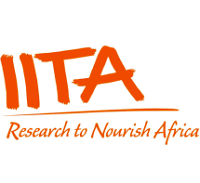 IITA is looking for a suitably qualified person to fill the following positions to support the IITA banana project that will be based at the IITA Office at the Nelson Mandela African Institution of Science and Technology (NMAIST) in Kijenge, Arusha. • Must be able to work independently with minimal supervision, but also participate as a team member in accomplishment of duties. • The candidate should have a BSc in Molecular Biology / Biotechnology / Agriculture or related field. The initial period for this position is one and half years with possibility of renewal. This is a nationally recruited position and IITA offers a competitive remuneration package. Applicants are requested to please indicate the reference number for the position as indicated on the heading of the announcement in your application as well as on the subject of your email if sending by email. If sending by post or hand delivery, please indicate the reference number on your application as well as on the left hand side of your envelope. Please note that any applications without the reference number indicated will be automatically disqualified. Two weeks from the date of advertisement appearing in the newspaper. Please note that only shortlisted candidates will be contacted.